Celebrate Drum Corps International's 35th Anniversary by taking 20% off all online store purchases from now until April 20. Gear yourself up for this 35th anniversary season with special closeout T-shirts, hats and sweatshirts. While you're at it, don't forget to fill your shelves with as many CDs and DVDs as you'd be able to fit in a drum corps' 18-wheeler. Hundreds of items available, all at 20% off! Type ANNIVERSARY as the coupon code prior to checkout to receive 20% off your order. This sale runs only for a limited time, so head over to the online store now! Visit the DCI.org online marketplace. Limited time offer begins April 4, 2007, at 3 p.m. Central time. Offer expires April 20, 2007, at 12 p.m. Central time. Offer not valid on prior purchases. Offer cannot be combined with other promotions or discounts. Offer good only for purchases made online. Not valid for phone or mail-in orders. 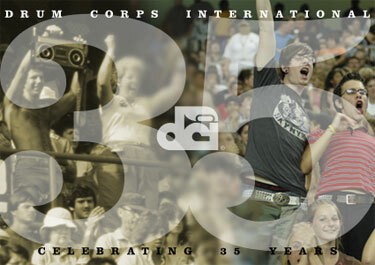 Drum Corps International reserves the right to modify or cancel promotion at its discretion.